This college admissions guide will steer you through the tasks you should complete during your freshman year of high school to maximize your chances of getting accepted by your top choice colleges. 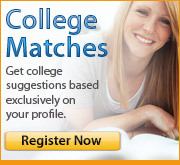 Colleges expect that their applicants have met certain requirements. Don’t limit your options before high school has even begun! Make sure you are signed up for college preparatory courses in the core subjects (English, algebra or geometry, science, world history, foreign language, etc.). High school represents the first time in your life where you really begin to consider your future, your dreams and the possibilities that lie beyond your hometown. Find a time in between barbeques and the beach to have an honest conversation with your parents about your goals for high school and post-secondary education. The more you plan and prepare, the greater chance you’ll have for meeting your goals and even overcoming hurdles. High school can be overwhelming at first. Make a point of introducing yourself to your guidance counselor and/or homeroom teacher. They can help you navigate your new surroundings. High school is also about new opportunities and experiences. Leave the comfort zone in middle school and get involved in extracurricular activities. Who knows - you might uncover a passion for social justice after joining Amnesty International. Or maybe you’ll swing by the chess club and be anointed the next Bobby Fischer (and that’s bound to impress college admissions officers). Universities (along with the Dept. of Ed) expect you to fulfill certain academic requirements. You don’t want to drop French only to discover you haven’t met the standards for your dream school. Make sure you are registered for college prep courses in the core subjects (English, algebra or geometry, science, world history, foreign language, etc.). It’s probably been drilled into your head: high school matters! While you shouldn’t let yourself get too rattled by that notion, it’s true that you’re beginning to really lay the foundation for your future. Talk to your parents about your goals for high school and beyond. The more thought you give them, the more you’re likely to accomplish. You probably run into your parents every now and again around your house, right? Find a moment to pull them aside and have an earnest discussion about your interests, potential career goals and academic strengths and weaknesses. The more they understand where you’re coming from, the better equipped they’ll be to help you stay on target and meet the standards you set for yourself. High school is a whole new ball game. You’ll have more academic options and more responsibility. Make a point of scheduling a meeting with your advisor or guidance counselor. Let him/her know about your interests and potential plans for the future. The insight gleaned will help said counselor guide you towards the most appropriate courses and opportunities. Unfortunately, high school involves a lot of standardized testing. Don’t fret too much; with a little planning and preparation, anyone can improve their test taking skills. To get ahead of the curve, find out if you can take the PLAN exam as a 9th grader. Your coursework will be more demanding than the assignments you received in middle school. However, there’s no need to panic. We’re confident you have the skills and the smarts to be successful. Meet with your guidance counselor/advisor to discuss how your academics are progressing. Are you starting off on the right foot? Does he/she have any study tips for you? Should you tweak your schedule? You want to make sure you lay a strong foundation to build upon in your subsequent high school years. Now that you’ve finally mastered the trick to opening your locker and come to realize you should avoid the cafeteria meatloaf, you should be bursting with confidence. Let this self-assurance carry you to new horizons. Consider joining a club, trying out for a sport or auditioning for the school play. You’ll find these experiences richly rewarding and the insight gleaned is likely to shape you just as much as the information you digest within the classroom. You’ve settled into your new school (at the very least, you know how to get to the cafeteria now). It’s a good time to take stock of where you are and where you want to go. Talk to your parents and your counselor about your goals for the future. If you’re open and honest, they’ll be better equipped to help you realize your dreams. School is only (roughly) 6 hours a day. What are you doing with the remaining 18 hours? Sure, vegging in front of the television sounds inviting, but think about engaging in a more productive activity. Volunteer in your community, audition for a play, go out for the volleyball team! Participation will certainly lead to self-discovery. And that will be time well spent! Before you depart (mentally and physically) for the holiday break, find a minute to assess your progress (both academic and extracurricular). You’ve already nearly completed one semester of high school; finals will be here before you know it! Now is an opportune time to meet with your parents and guidance counselor/advisor to discuss your progress and your schedule for next semester. Should you stay on your current course? Do adjustments need to be made? Have you joined any clubs or participated in any school events yet? The more active you are in your community, the richer your experience will be. Are there any upcoming plays or concerts? Consider attending. Is your soccer team holding a fundraiser? Volunteer to help run it. We promise you won’t regret it! Have a conversation with your parents about goals and expectations. Sure, they frequently nag you. However, they are also your biggest champions and can (occasionally) offer great insight. Meet with your advisor and/or counselor to discuss your 10th grade course selection. He/she can help tailor your curriculum to your skills and interests. Don’t just sit on the sidelines (or the couch). Get involved in extracurricular activities. It doesn’t matter if you join the tennis team, the debate team or volunteer with Habitat for Humanity. It’s important to develop interests outside of the classroom. After all, colleges want well-rounded students. Just be sure to keep track of everything you join. • Just as you’ve fully embraced life as a freshman, it’s time to look towards the future. Meet with your guidance counselor/advisor to discuss your schedule for sophomore year. Try and fashion a course-load that is both challenging and aligned with your academic interests. • At this point in the year, you should be well aware of the extracurricular opportunities available at your school. Don’t let shyness or fear of upperclassmen hold you back. If you’re interested in Habitat for Humanity or the A.V. club, sign up! You’re bound to make new friends and enhance your overall high school experience. Remember to add any club participation to your personal records. • If you’re going to procrastinate with your school work, you can at least be productive. Think about kicking back with a book every now and again. Literature exposes us to new ideas, expands our imaginations and improves our language skills. With the upcoming change of seasons, you should think about doing a little mental spring cleaning. Is high school playing out as you assumed it would? Is the workload more demanding than you imagined? Are you balancing academics with extracurriculars? Or are you struggling under the weight of expectations? These are all questions you can (and should) broach with your guidance counselor/advisor. After all, it’s valuable to measure your progress and discuss strategies for improvement. You’ve (just about) survived your freshman year of high school; only three more years to go! Start thinking about the future (but don’t neglect your current school work). With sophomore year on the horizon, meet with your guidance counselor/advisor to discuss your interests and skills. He/she can highlight opportunities that will offer you the chance to further your talents. You should also talk about possibilities for taking on leadership roles. Finally, update your personal records with any and all accomplishments. Hopefully this school year has been a time of personal growth. Make this summer a period of even greater development. Be on the lookout for any opportunities this summer to engage in work and/or projects related to your interests. This will allow you to exercise existing skills and cultivate new talents. Don’t forget to include your efforts in your personal records. Congrats – you survived your first year of high school and now summer is within reach. However, don’t get too complacent during your vacation. Find a moment to reflect on the past year. What did you experience? What did you accomplish? After taking stock of your achievements, be sure to update your personal records and/or portfolio. Instead of watching reruns, consider curling up on the couch with a good book. It’ll keep your mind sharp and improve your vocabulary (in turn giving you a boost for the PLAN and PSAT exams).